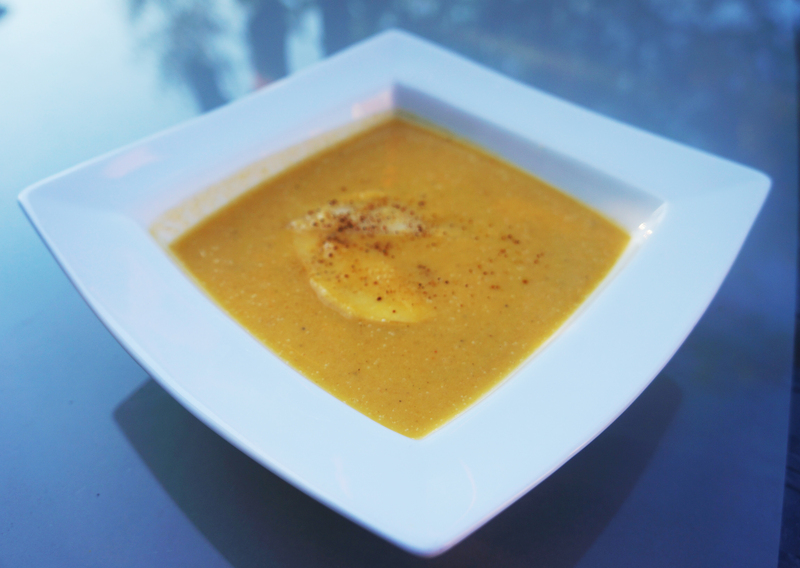 One of my favourite things about fall is butternut squash soup – and after a few years I’ve perfected my recipe. It’s creamy, spicy, and a bit sweet, and the perfect thing to warm up to on a crisp fall night. My recipe uses cream, but feel free to omit it if you want to cut down on the fat. It also freezes really well, so double the batch and freeze the rest for a delicious soup anytime. Heat the oil and melt the butter in a large pot over medium heat. Add in the onion and cook until tender. Add the carrots, squash, apple and pear to the pot. and stir. Pour in the chicken stock, and season with salt, pepper, cayenne, cinnamon and nutmeg. Bring to a boil, reduce heat, and simmer until the vegetables and apples are tender. In a blender or food processor, puree the soup mixture until smooth. Return to the pot, and stir in the cream. Heat through, but do not boil. Taste, and add more spices as needed. I usually end up adding more salt and cayenne for some spice. Serve hot with a dash of nutmeg. Amazing! It’s my fav soup too – so delicious!